Those of you who have experienced a strong turbulence or rough weather during your flight know how scary can it be to sit inside such a plane. But truth is the most dangerous part of your flight is departure and take off. And it is especially dangerous when it happens on some unusual, dangerous airport. 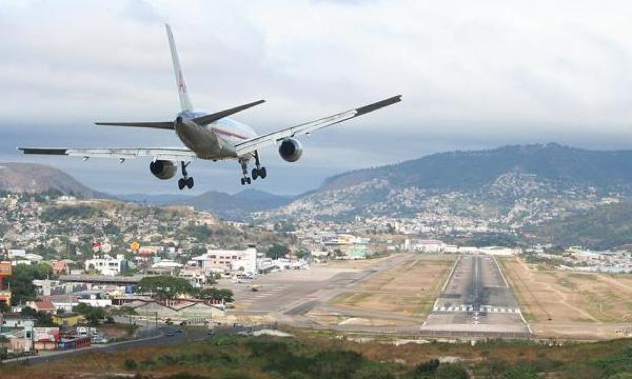 Here’s list of top 7 most dangerous airports around the World according to Rushflights! This airport also known as Changdu Bangda Airport is located in Tibet. It may seeem like any other airport on the picture but it’s the highest located airport in the whole world at an elevation of 4,334 meters. The airport has extremely long runway which is 3 miles long. This may seem extremely long but it is for a reason: the air ir so thin at this elevation that it’s much harder to stop the plane at Qamdo Bamda Airport. 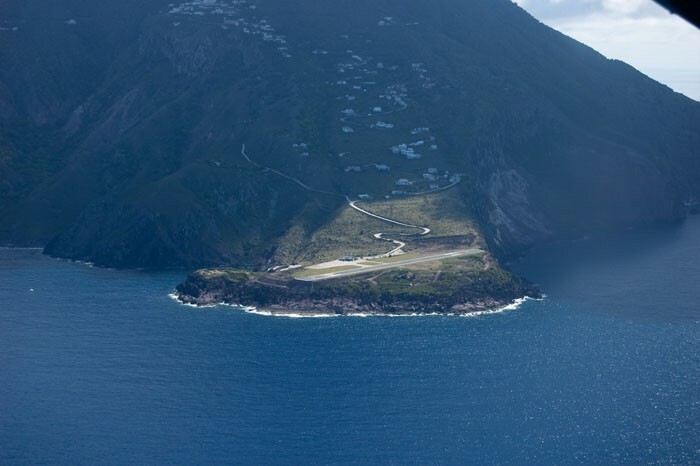 Saba airport also known as Juancho E. Yrausquin Airport is located 28 miles from St. Maarten has the World’s shortest runway. The runway is only 400 meters long which makes it extremely difficult to land or take off. Especially landing is super hard because you have to be very precise. Toncontin International Airport is located in Tegucigalpa, the capital city of Honduras. 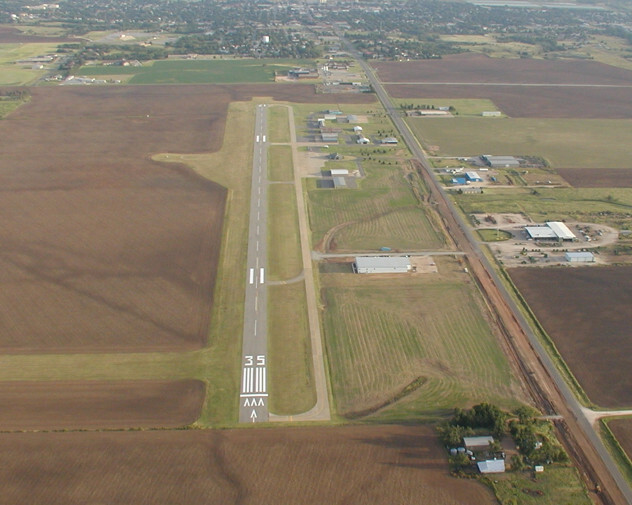 This airport is considered extremely dangerous for its location – it’s located in the middle of deep valley. It’s been victim of many plane crashes and accidents including the 2008 accident where 5 people died. The most dangerous aspect is the fast that there’s only one way in and one way out which can easily result into a collision. Ice Runway located in Antarctica is indeed really extreme airport. It’s basically just long stretch of snow and ice in Antarctica. 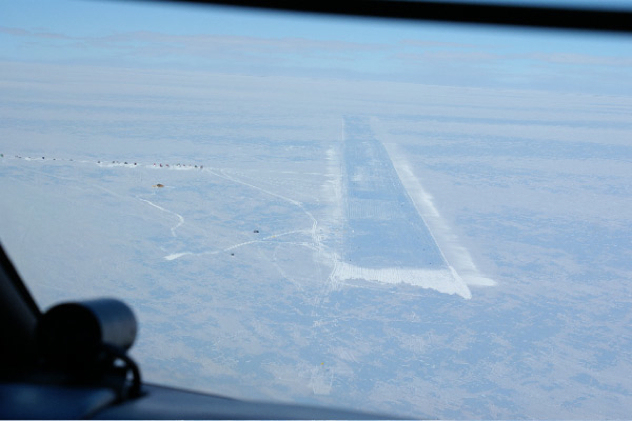 It’s one of the three airstrip used to send supplies to researches located at Antarctica’s McMurdo Station. Extreme weather conditions with temperature under -50°C don’t make it easier for the pilots to land here. Another problem is that you can’t rely on hard land – pilots have to land extremely well to not break the ice which would make the airport immediatelly sink in the ice cold water. Madeira is beautiful island located Southwest from Portugal also known as Santa Catarina Airport or Funchal Airport. It’s location of 1977 TAP Portugal plane crash which killed 131 passengers on board. 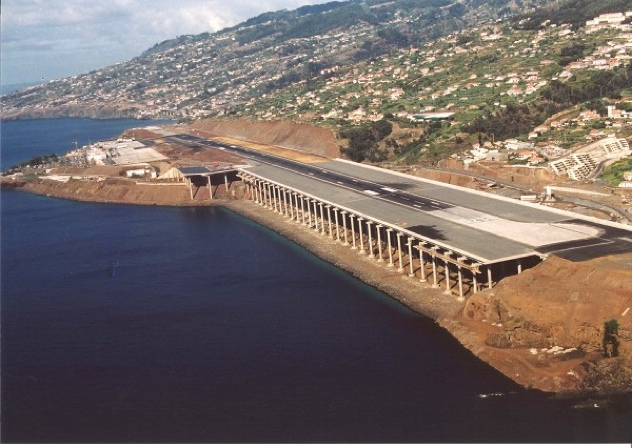 The problem here is the pilots have to aim straight against the mountain located next to the airport and then quickly turn the plan and land on this short airport built on the ocean. The runway was extended numerous times, lately in beginning of 2000, but it’s still really short and difficult airport. 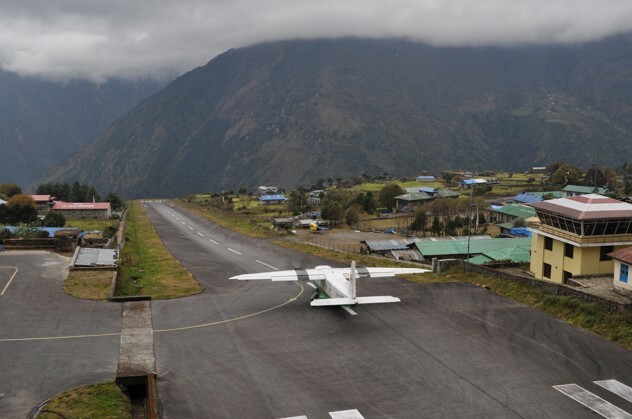 Tenzing Hillary Airport also known as Lukla Airport is located in Nepal. The danger of this airport lies in the elevated runway which ends with a steep cliff and which is only 460 meters long. There’s also very thin air which causes diziness to many passengers. It’s main airport used to climb Mount Everest in Himalaya. Lukla Airport airport is also very often target extremely strong winds to delays because of bad weather which can last for many days. 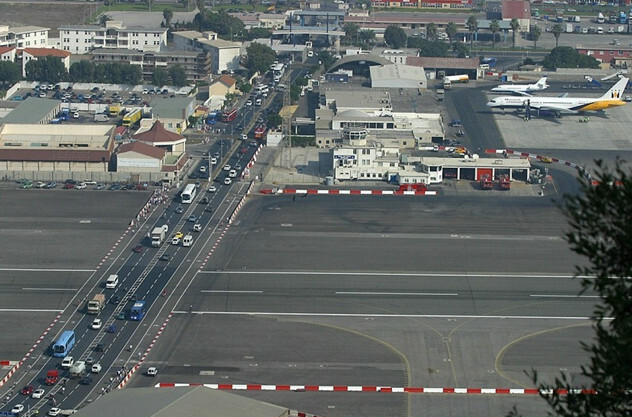 Gibraltar Airport is considered to be one of the most dangerous in the world. The reason is simple – there is actually BUSY ROAD leading THROUGH the airport. Gibraltar is very small country located in the south of Spain and the only way to access it is to cross this airport. 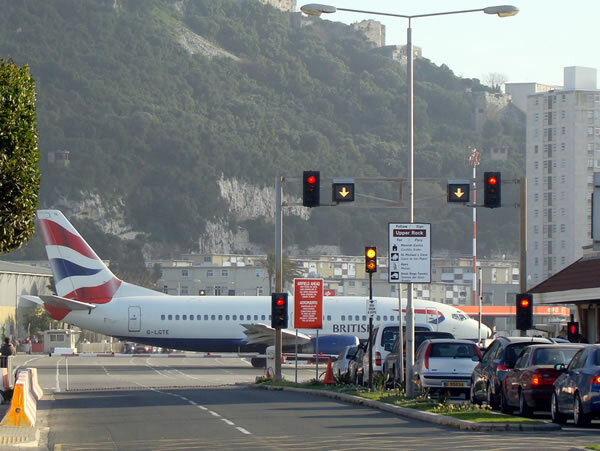 If there’s a plane landing or taking off from Gibraltar Airport, the soldiers simply close the road and all cars have to wait before the plane lands or takes off. It’s just a miracle there hasn’t been any major accident so far at Gibraltar airport. Which airport seems most dangerous according to you? Have you experienced some other dangerous airport? Share your thoughts in comments! « Cheap flights to Canary Islands: Tenerife for €92!